Due to severe weather forecasts in northern Iowa, the NASA and Iowa Flood Center public outreach event scheduled for Wednesday, June 12 at 7 p.m. in Room 104, Wilder Business Center, on the Northeast Iowa Community College campus has been CANCELLED. NASA researchers will be occupied at research sites tracking the storm and monitoring instrumentation. Engineers at Oregon State University have developed a new interactive planning tool to create networks of small wetlands in Midwest farmlands, which could help the region prevent massive spring floods and also retain water and mitigate droughts in a warming climate. 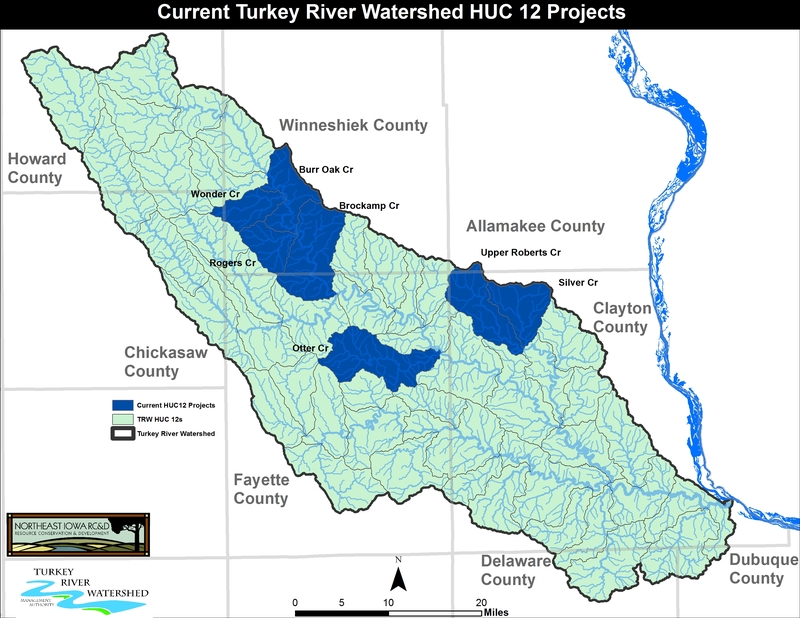 A logo has been designed for the Turkey River Watershed Management Authority! Check it out! Countless visitors to Echo Valley State Park near West Union spend their summer days strolling along the Echo Valley Environmental Nature Trail (EVENT) or fishing for trout along the scenic banks of Otter Creek.